Still Here is an interactive storytelling about dealing with grief and loss and how small things in life can help us letting go and move on. 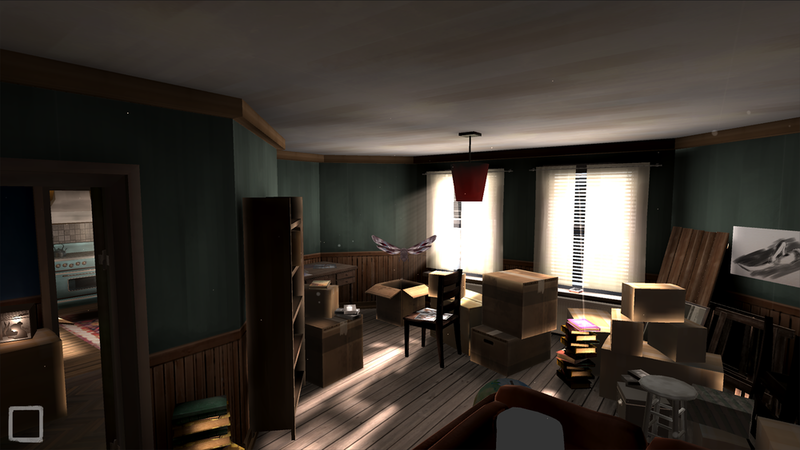 As the player it is your job to explore Mark and Susie’s life by interacting with different objects in their apartment. The more details about their life together you reveal, the closer you get to help Mark move on from the dark place of sorrow he is in. By doing so, the light can shine through his life again.